Some minerals get all of the attention. Calcium is the talk of the town. Iron holds its own. We really don’t hear much about magnesium and yet it is one of the most common nutritional deficiencies. Every week I see at least a handful of people who are struggling with health concerns that can be linked back to a magnesium deficiency. It’s amazing to see how quickly health returns once we give the body what it needs. Calcium seems to get all of the fanfare when it comes to the health of our bones but did you know that taking large amounts of calcium, on its own, is actually harmful?? Calcium needs cofactors to get into the bone, otherwise it deposits in soft tissue areas like the heart wall, kidneys, and joints, wreaking havoc. Magnesium is one of these cofactors and it’s super important to your overall health. Magnesium is responsible for over 300 chemical reactions in the body, yet it’s estimated that 65% of the population has some form of magnesium deficiency! 50-60% of the magnesium in the body is stored in the bone. Even a slight deficiency leads to bone loss, which creates a snowball effect of weakening as we age. Magnesium is required for proper functioning of every nerve in the body. Deficiency is linked to nervous system disorders such as depression and anxiety. Known as the relaxation mineral, it’s necessary for everything from comfortable bowel movements to settling into sleep, to calming our nerves. This is not a mineral that we should be playing around with. Good food sources of magnesium include: pumpkin seeds, sunflower seeds, sesame seeds, legumes, quinoa, beet greens, turnip greens, and summer squash. 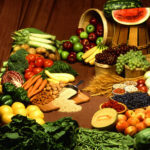 Generally, foods that are high in fibre will be high in magnesium. For most of us, we’ll not get enough magnesium from our foods so we will need to supplement. 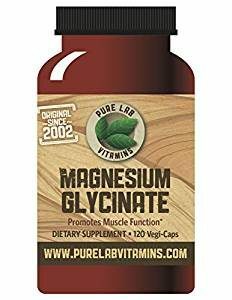 I recommend a Magnesium Glycinate formula as it’s easier on the bowels and is readily absorbed. The holistic recommendation is to take it to bowel tolerance which means that you’ll continue increasing your dose until your bowel movements become loose and then you’ll back it off a bit. Magnesium should be taken in the evening to support calming the nervous system and preparing the body for sleep. Tip of the day: After steaming your vegetables, always save the vegetable water. Minerals are displaced in cooking so they will be found in the water. Use this “water” for making your sauces, smoothies, and broths.